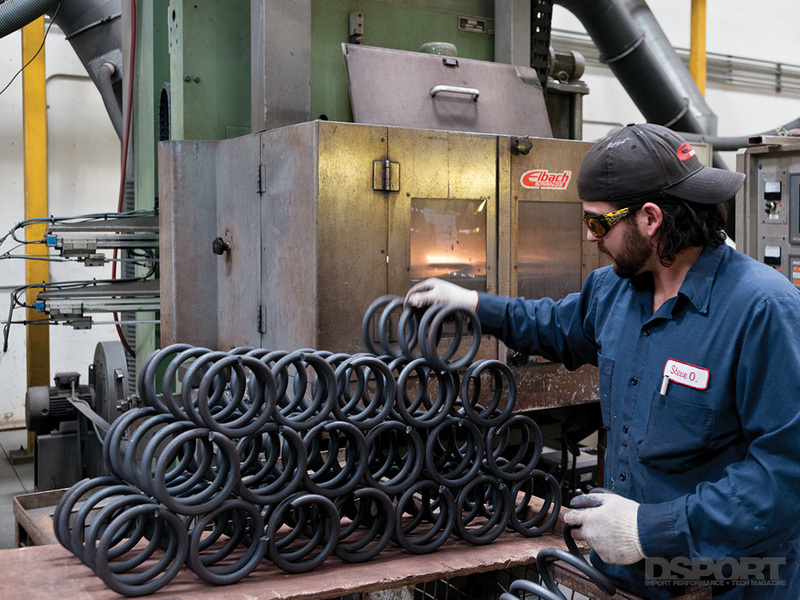 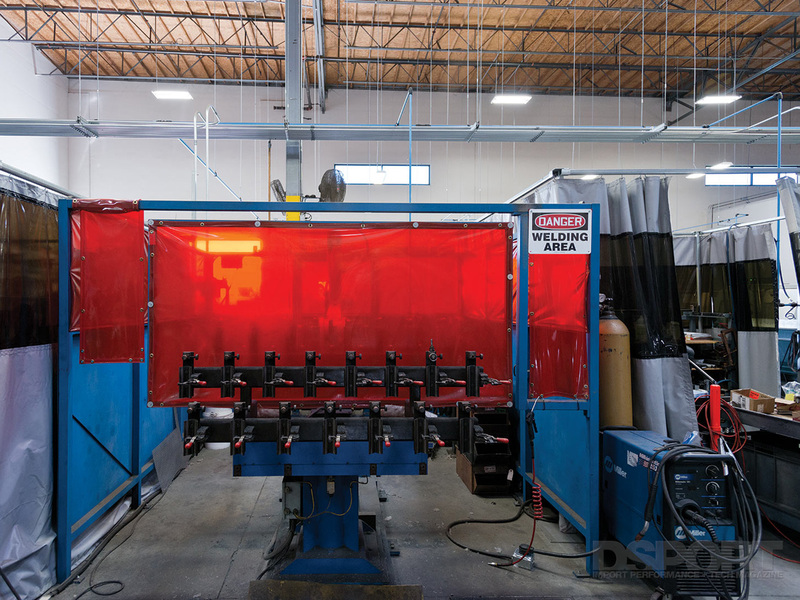 From springs and coilovers to sway bars and suspension systems, Eibach USA engineers, develops and builds these parts in house at its plant in Southern California. 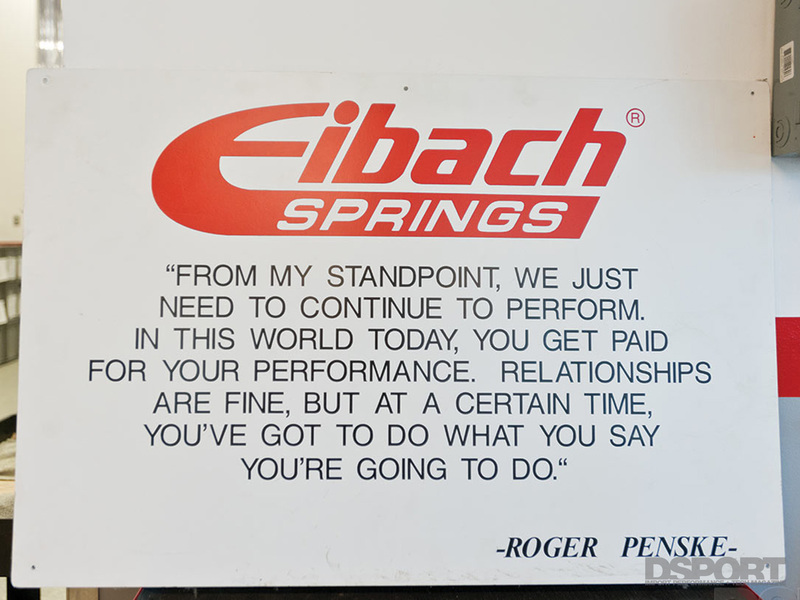 Although many companies now choose to outsource production, there are still companies like Eibach going strong right here on American soil. 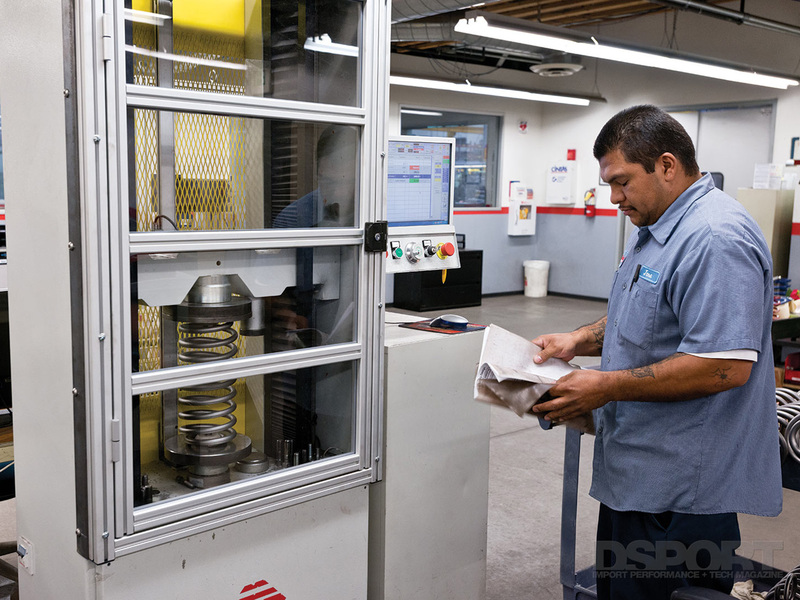 Stay tuned for more behind the scenes looks at some of your favorite parts manufacturers in upcoming issues of DSPORT Magazine. 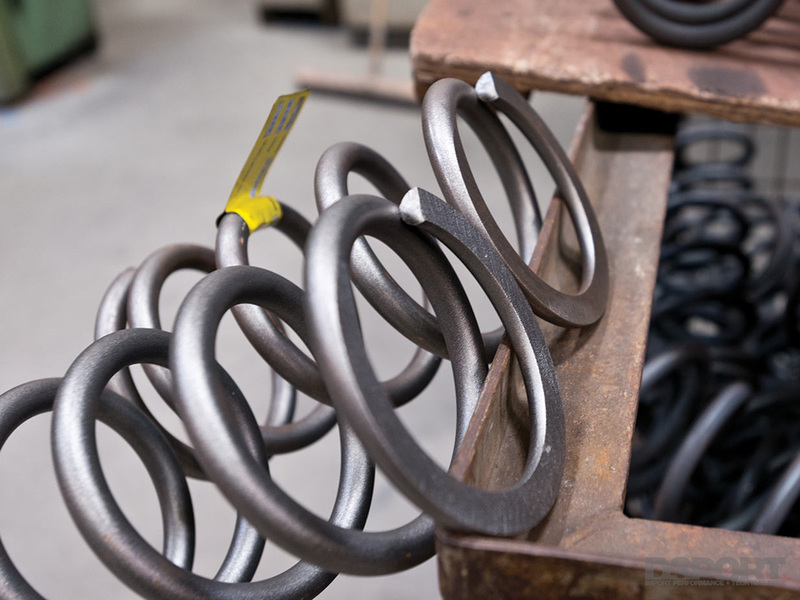 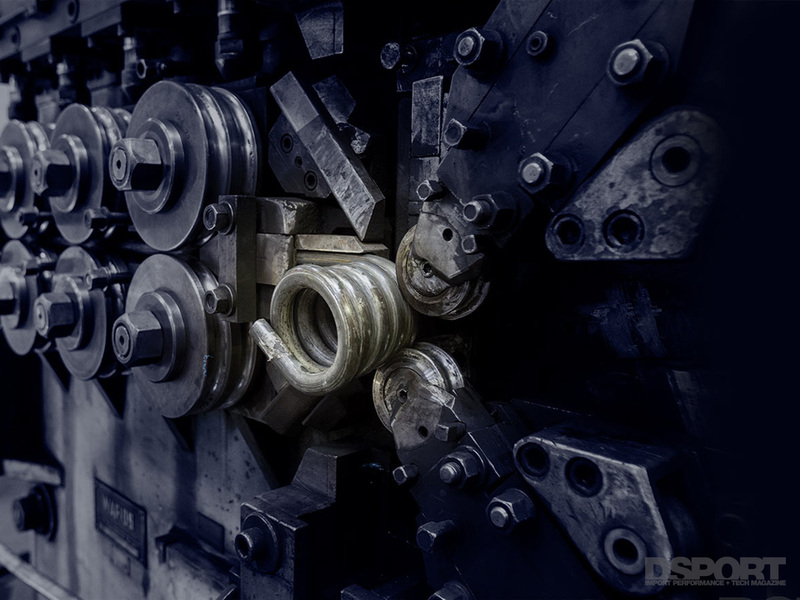 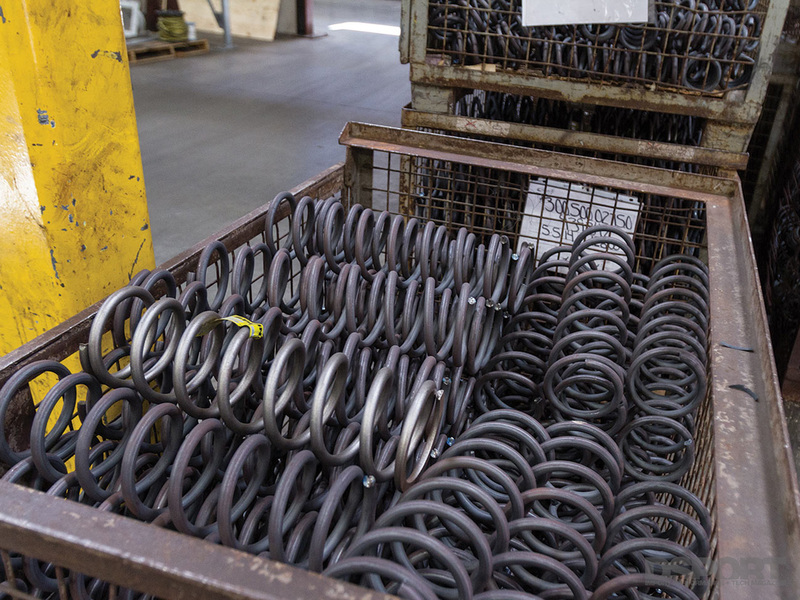 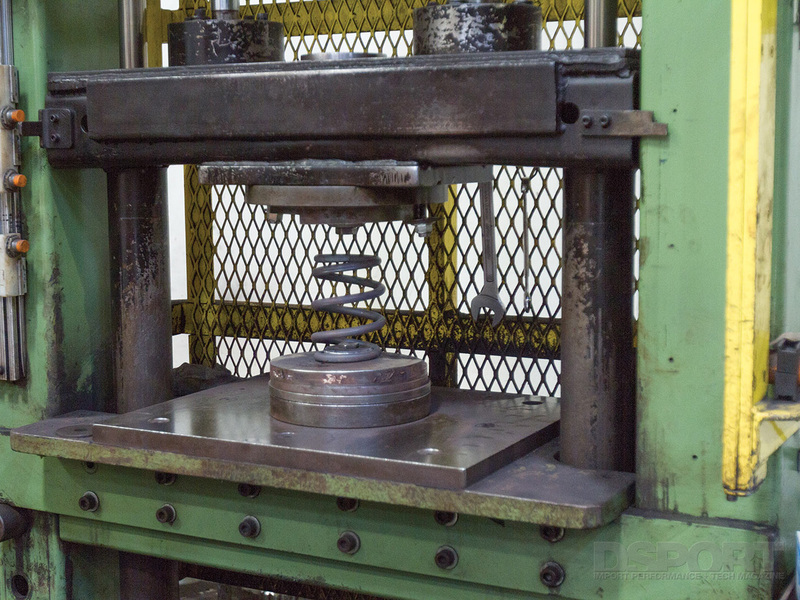 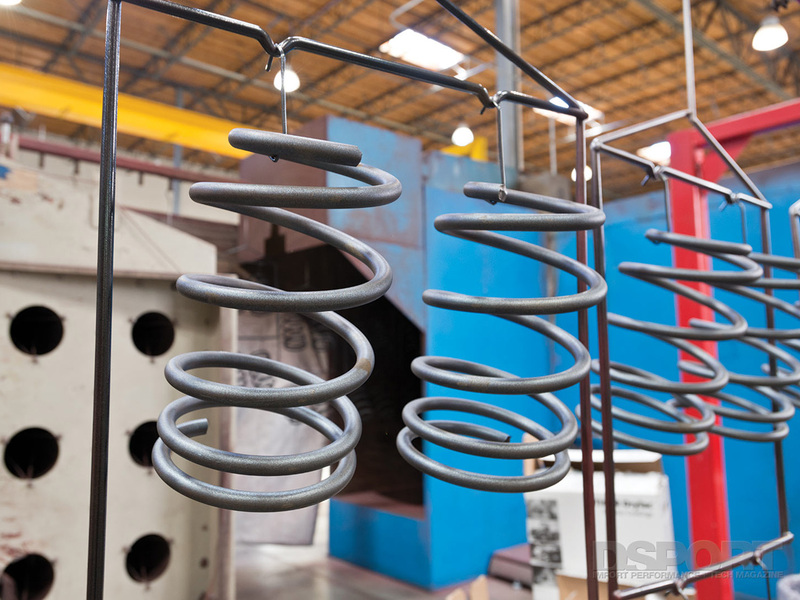 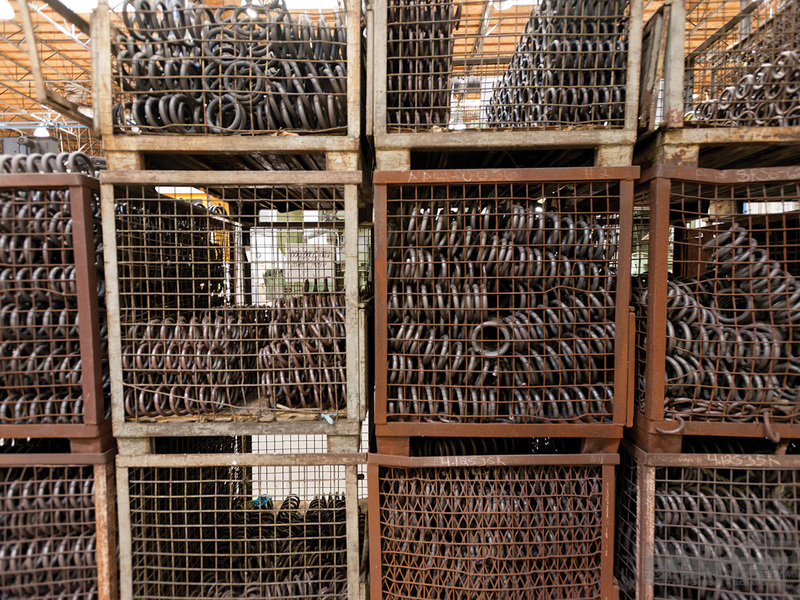 Utilizing a spring dynamometer, a coilover spring can be measured and specific characteristics analyzed. 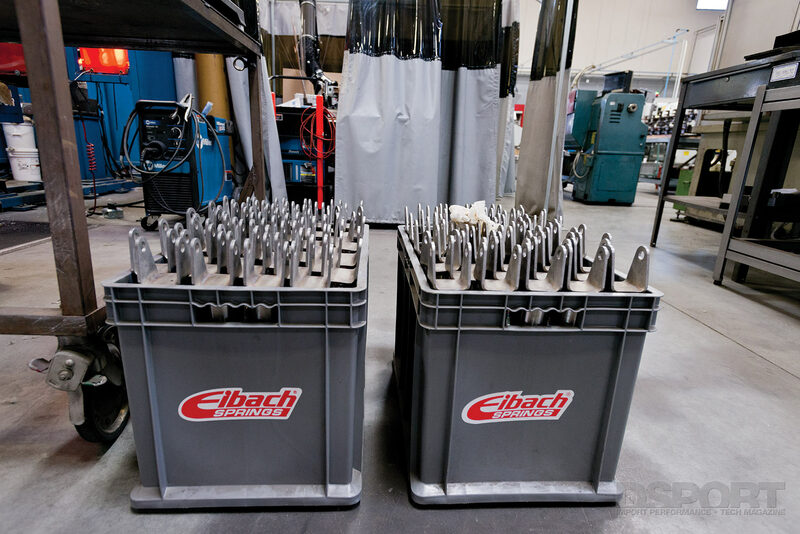 From muscle cars to imports, Eibach’s application list includes a wide variety of makes and models. 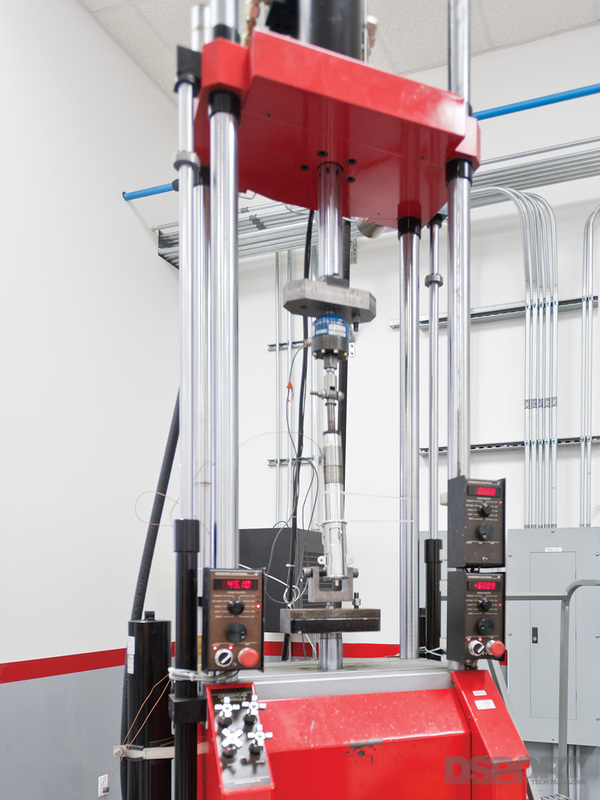 Be on the lookout for their website and catalog, as new applications are constantly being tested and added to the list. 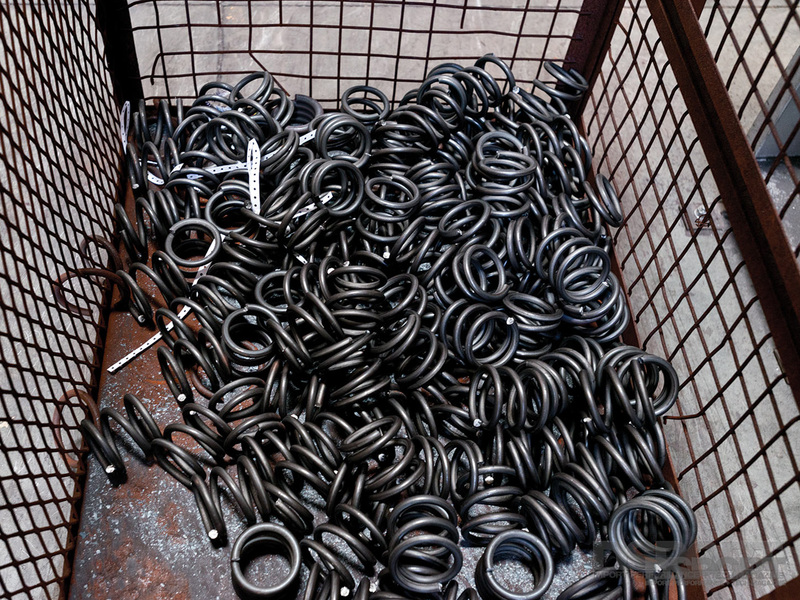 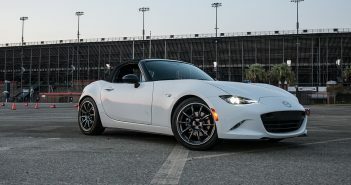 In addition to its springs, Eibach’s also offers sway bars, coilovers and suspension kits. 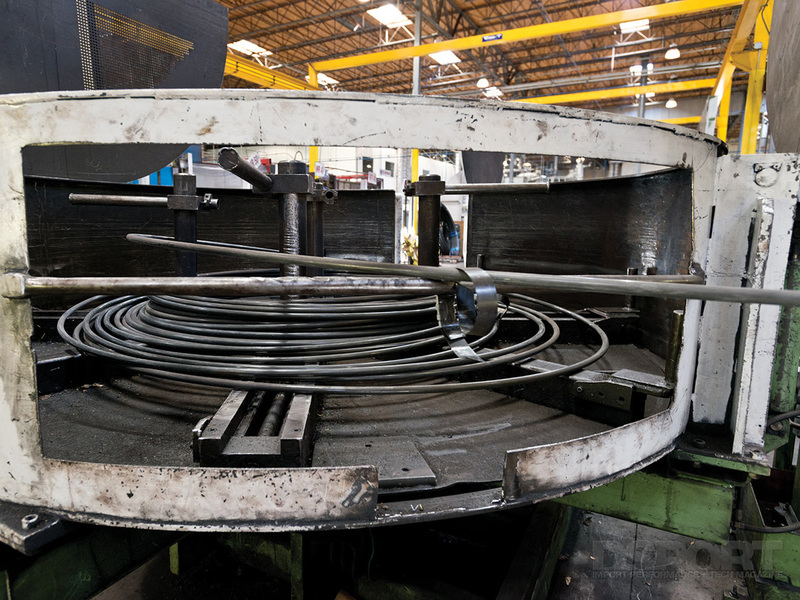 This spool of steel wire is fed into a machine that coils the wire into a spring. 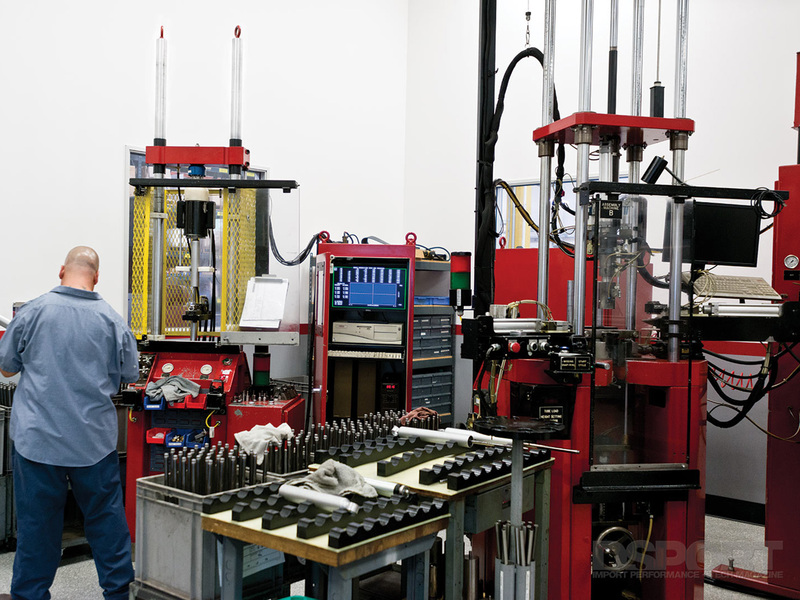 Eibach utilizes a full range of shock and spring dynos to test all of their products. 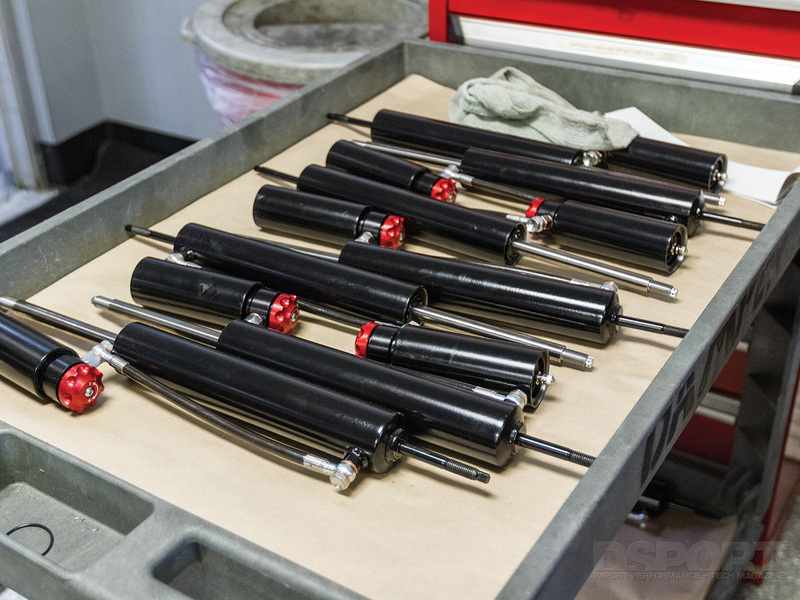 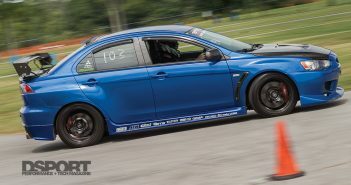 Eibach’s Pro-Street-S and Multi-Pro coilovers begin with a shock body welded here.